“Injustice anywhere is a threat to justice everywhere. We are caught in an inescapable network of mutuality, tied in a single garment of destiny. Whatever affects on directly, affects all indirectly.” Martin Luther King Jr.
Dan Lemaire joined the Aitken Robertson team in the summer of 2017 after completing his second year at Queen’s University Faculty of Law. Dan graduated from Queen’s Law in June 2018 with his Juris Doctor degree. He is currently a student-at-law and hopes to be called to the Ontario Bar in June 2019 after completing his articles. 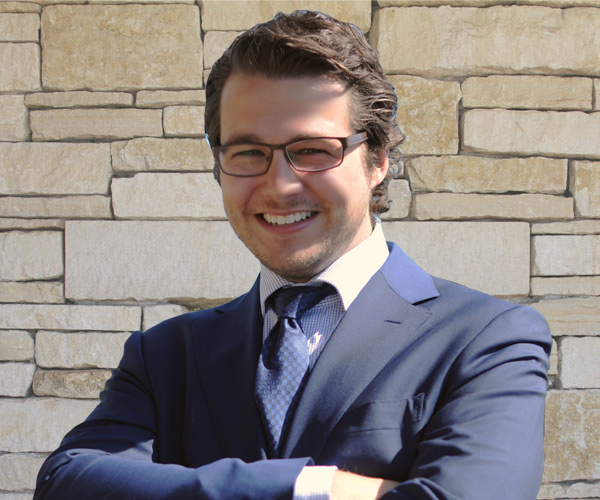 As a Peterborough native, Dan is excited to be articling in his hometown. From early on, Dan knew he wanted to live and work in Peterborough as a legal professional. Before attending Queen’s Law, Dan earned a Bachelor of Arts Honours degree in History at Trent University. He is proud to have graduated on the President’s and Dean’s Honour Roll and to have received three awards for his History research work. While at Queen’s, Dan continued his commitment to academic excellence, winning several awards in his first years of law school – including the awards for highest-standing in Criminal Law, Legal Skills, Torts, and Advanced Legal Research. During his first summer with Aitken Robertson, Dan affirmed his passion for criminal law research. He often assists the firm’s senior counsel and paralegals with legal research, case preparation, and scholarly articles. Outside of the office, Dan enjoys spending time with friends and family on Weslemkoon Lake. He loves everything outdoors – including fishing, ATVing, snowmobiling, and spending time on the water. He is also passionate about cooking and is always trying new recipes and techniques.